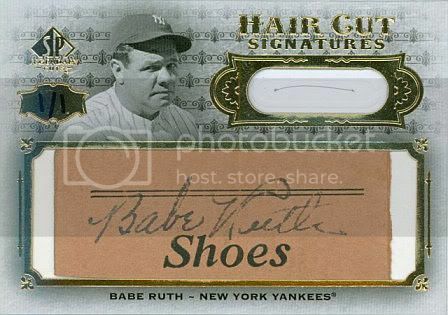 Stale Gum: A video metaphor for Upper Deck's "Hair Cut Signatures" DNA cards. A video metaphor for Upper Deck's "Hair Cut Signatures" DNA cards. Seriously, what's the point anymore? Waterskiing in a leather jacket? Been there, done that, bought the DVD box set. Haha, nice post though. Who has the money to pay the large prices that these cards are going for? I am still trying to piece together my very nice 1971 topps set.